Greece, Nea Chrissi Akti the most beautiful beach in Paros. Visit and stay in a magical place! - Explore the best destinations! Greece, Nea Chrissi Akti the most beautiful beach in Paros. Visit and stay in a magical place! 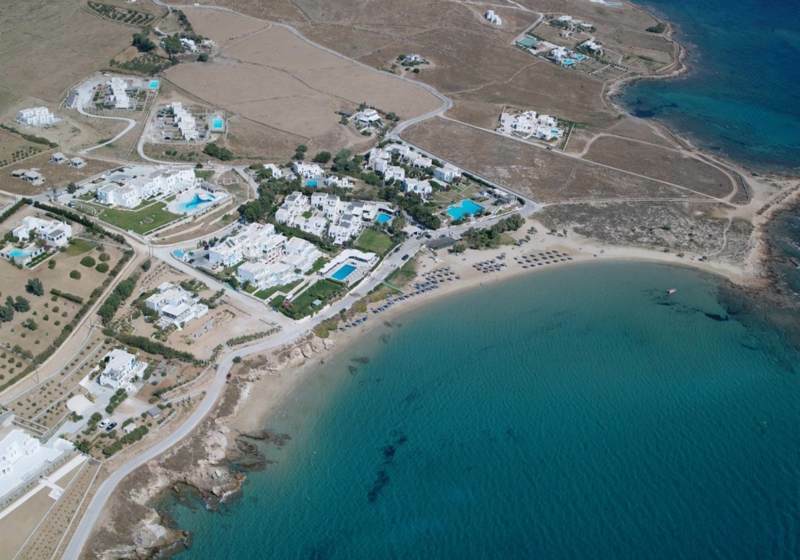 Nea Chrissi Akti is located about 20 km from the capital of Paros in Parikia. The locals know it with its old name, Tserdakia, but its new name surely gives you a first view of what awaits you when you face it. It stretches over a 800 meters long, 800 meters terrestrial paradise with golden-yellow sandy beaches, with stunning blue waters and an islet called Dryonisi, uninhabited and small, located in a very close distance. 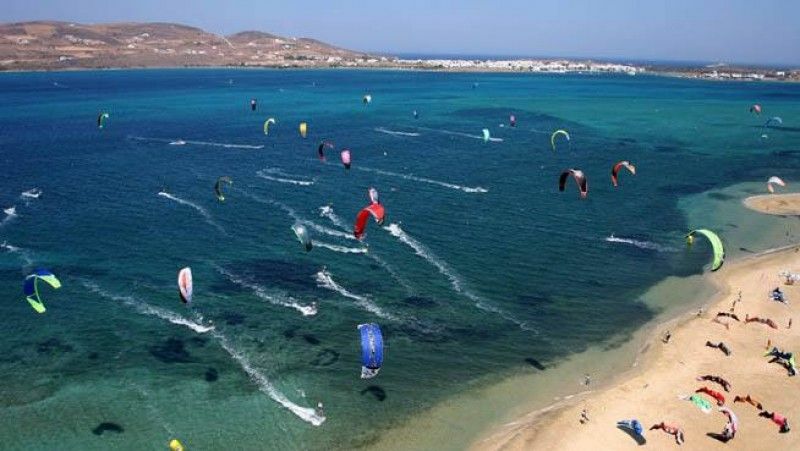 Famous as it is one of the favorite beaches of Greece and Europe in general for windsurfers, every August there is a worldwide championship with the participation of serfer from all over the world. The blue flag could not be missed by such a beach, it is fully equipped with everything the traveler needs. Whatever you find here, sea and air games, scuba diving, experienced teachers and, of course, bars for beautiful and intense nightlife are scattered all over the area. A world ideally crafted to take your vacation! Blue Dolphin is located on New Chryssi Akti Beach and is the perfect place to spend your holidays here. It offers rooms with panoramic Aegean Sea views. It includes a bar and the most famous restaurant in Paros with sea views. Rooms with fantastic sea views in Nea Chrissi Akti. Pay attention to the most famous restaurant, the No. 1 gourmet destination of the island! 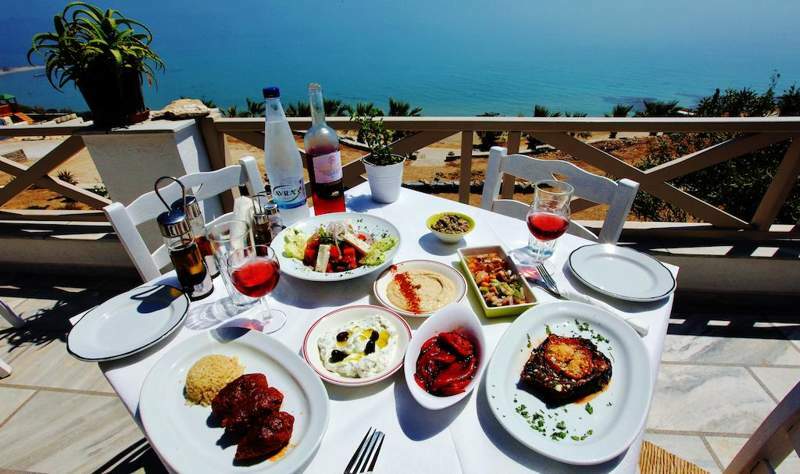 The Blue Dolphin restaurant combines delicious dishes with spectacular views. The family route Peter Masoura in catering starts in America, with the father known chef for over 50 years and the graduate Peter of Las Vegas University (UNLV) with extensive experience in the field as Food and beverade manager in various Hotels & Casino and continued in New Golden Beach with Greek hospitality and love for good food. Call and book now to be sure that you will spend a memorable lunch or a memorable evening at No1 gastric destination of Paros!